Part of paddle boarding is transporting all your equipment to and from your favorite body of water. That quickly becomes a headache whether you have a solid paddle board or an inflatable one, since accessories and add-ons need somewhere to stow away. You might wonder why you need a stand up paddle bag in the first place, what to look for when shopping for one and what bags are the best for your needs. Here we?ll explain everything you need to know about paddle board bags so you can get what you need and get back on the water. Depending on how far you need to carry your paddle board and whether it?s inflatable, you may decide on either a paddle board bag or SUP backpack. Here we?ve outlined the best paddle board travel bags in both categories. These paddle board travel bags have shoulder carrying straps and suit solid construction paddleboards. With both carrying function and board protection from the elements, these bags serve as paddle board covers and transport cases. Regarding both board protection and carrying convenience, the BIC Sport HD Stand Up Paddle Board Bag delivers. Its reflective material helps deflect the sun?s harsh rays, so your board stays cooler and sustains less heat damage. The nose, tail, and rails have reinforced material to avoid damage at vulnerable points, and 5mm foam padding adds more protective cushion. A large zipper pocket allows you to slide your board in and out easily. You can also stow your paddle in the bag?s paddle holder for more comfortable handling. Multiple sizing options fit boards from 10 feet to 14 feet long, with care taken to suit the size and shape of BIC?s boards. You can choose to order up a size for a roomier fit, but BIC?s bags are sized precisely to the board size. For example, an 11-foot bag fits an 11-foot board snugly. Regardless of your board?s shape, whether Touring or Round nose, there?s a BIC bag to suit. There are even a few color options to allow for customization. Heavy duty zippers prevent snags and ensure smooth operation. A padded shoulder strap makes carrying your board more comfortable, but this bag?s use is multipurpose. It makes your board handier for moving, but it also offers protection while you transport your SUP board, whether it?s indoors or riding on the roof of your vehicle. Overall, its utility and protective elements earn the BIC Sport HD paddleboard bag top reviews, and the user-friendly construction makes stowing your board easier than ever. From the extended zipper to the ability to pack the board with the fin mounted, BIC?s bag takes the headache out of traveling with and storing your SUP. If your board isn?t a BIC, the fit might not be as glove-like with another brand, but a range of sizes and shapes let you pick which bag works best. Our runner-up pick for utility and features is the SurfStow SUP Transport, a lightweight stand up paddle bag with additional interior features. It may not compare to the ruggedness of our top pick, but the SurfStow bag has sufficient padding to protect your board. It also has interior pockets with drainage, along with an exterior paddle pocket. A Velcro fin slot lets you slide the fully assembled board into the bag. Straps hold everything in place, and a corrosion-resistant zipper closes it all up. Despite its best intentions, the SurfStow isn?t entirely waterproof, so while it works for traveling and short-term storage, you may want to investigate additional water protection measures if you?re storing your board for an extended period. If water tightness is not a top-ranking priority, then this bag?s other features continue to impress. A grip carrying handle fits into your hand for easy carrying, and the length is adjustable. The amount of padding is impressive at this price point, offering protection as well as utility. Traveling or even flying with your paddle board just got a lot easier, since you won?t be stressing out about minor dings from transport. The bag also comes with a luggage tag. While other bags specify to order the size bag that matches your board length exactly, SurfStow?s bag doesn?t leave breathing room for your board. Consider ordering up a size to ensure plenty of room and avoid straining the zipper. That said, there are limited sizes available, so consider (and measure) carefully before ordering. At the same time, the height of the bag allows for some users to slip two boards into the bag if they?re within the size specs. Removing the fins is a requirement, of course, but if you have multiple boards to store, the SurfStow SUP travel bag may fit the bill. While you can choose a SUP travel bag for your inflatable paddle board, it?s often easier to deflate and pack it along. Plus, having your air pump and other supplies handy helps in case you need repairs on the go. While a standard SUP travel bag might prevent you from having to deflate your iSUP each time you travel with it, there are perks to choosing a stand up paddle bag that caters to inflatables. 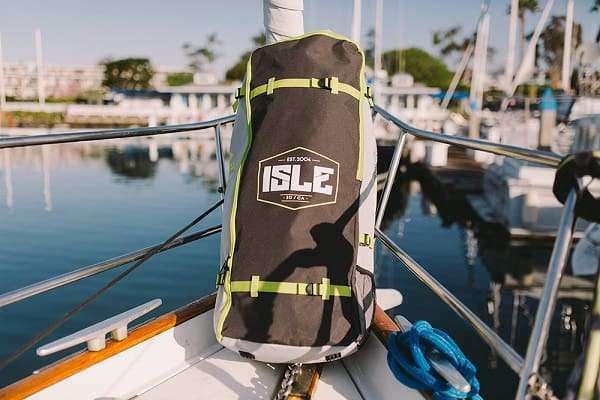 The ISLE Inflatable SUP Carrying Bag is our top pick for inflatables not only because of its affordable price, but its feature-rich offerings. A nylon outer shell is heavy duty but maintains a trim profile, keeping you from lugging around extra bulk along with your board. Ventilation panels help prevent smells and mildew when storing a wet paddle board, but they?re on the sides of the backpack to keep you from feeling damp. Shoulder and waist straps give you a secure carry and comfortable fit. The waist straps help to redistribute the weight of the pack, reducing the load on your shoulders and back. Light padding helps prevent rubbing, but the more you weigh the pack down, the more pressure you?ll feel. 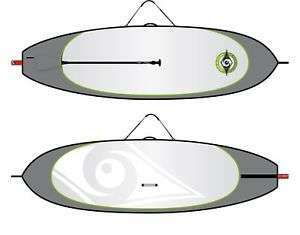 The dimensions are 36 inches by 14 inches by 12 inches, with sufficient space to store an inflatable board of any size. Some wider boards may keep the top from closing securely, so consider this before ordering. An external bungee system allows you to carry items outside the potentially soggy interior, and the straps are strong enough to hang onto your pump, paddle, or other things. The top carrying handle helps you to safely lift a full pack to get it into position on your shoulders, and once you have it on, the straps adjust to fit a range of sizes. Velcro closure secures the main compartment, so no tricky zippers to fuss with or rust. A clip holds it all together, so there?s no accidental spillage. If your board is on the smaller side, you may be able to forgo the manufacturer?s suggestion of carrying the inflation pump in the outside pocket, but larger boards won?t leave space for it inside the backpack. We?ve already highlighted the BPS Universal iSUP Bag as a contender in our overall top paddle board bags list, but it?s a runner-up when pitted against ISLE?s carrying bag for both price and construction. It?s a sturdy stand up paddle bag, but it can?t quite match the winner?s offerings. The BPS bag costs slightly more than the ISLE, and although some features are the same, its looks aren?t as dynamic as those of the ISLE. Its plain black exterior, whether you choose the exterior pocket or bungee design, isn?t much for looks. Fortunately, the performance of the BPS bag gives the ISLE a run for its money. The overall dimensions are just over 39 inches by 17 inches by 14 inches, so its interior space is arguably larger than the ISLE?s. That means there?s more room for larger bags, but also more empty space if you prefer to carry other items in a separate bag or backpack. In comparison with the ISLE, the BPS?s carrying handles are tougher to manage, and there are fewer of them to begin with. When handling a fully loaded backpack, with around 30 pounds or more of paddle board plus accessories and equipment, most users prefer as many handgrips as possible. 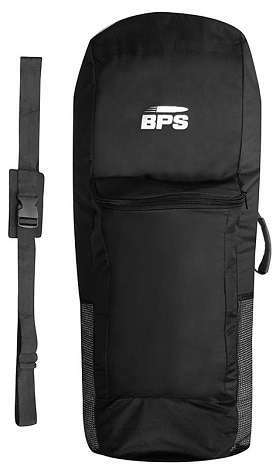 Therefore, the BPS pack earns points for its multiple grips and maneuverability. This bag also starts out a bit heavier than the ISLE, but not by much. That makes it a relatively lightweight paddleboard bag, and infinitely easier to manage than a bag that slides over a fully inflated SUP. 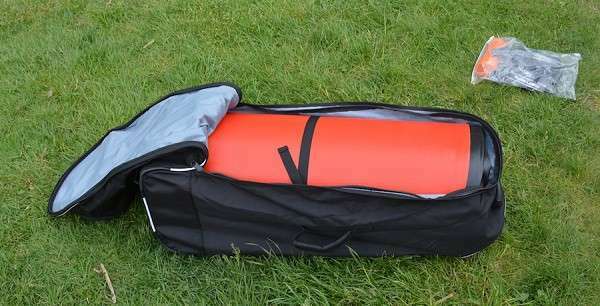 For that reason, we still recommend the BPS bag for inflatable SUPs, particularly for those who need the space to carry equipment and can manage the resulting load. Why Should You Buy A Bag For Your SUP? If you?ve been paddle boarding for some time already and struggle with whether to purchase a paddle board travel bag, we get it. But there are reasons why investing in a quality carrying bag will improve your paddle boarding game and reduce the level of stress you experience when handling it. A SUP board can usually handle plenty of wear and harsh environmental conditions without breaking down, at least not visibly. But consider how many years of use you plan to get out of your board before upgrading. Paddle board covers add another layer of protection against the elements, whether it?s harsh sun or even snow in the off-season. When your paddle board bag or SUP backpack doubles as long-term storage, your board avoids extra exposure and may live a longer useful life. Plus, if you stow your SUP board in a garage, storage shed, or aother musty place, keeping it in a paddleboard bag keeps dirt and critters off, too. Especially with inflatable SUP boards, storage is key to prolonging the enjoyment you?ll get out of your equipment. If you?ve traveled with your SUP before, it probably wasn?t pretty. Not only do you have to manage a 9 foot or longer board, but there are also accessories and equipment that come along with it. If you?re trying to board a flight and check your board as luggage, there?s also the concern that it will wind up broken when you arrive at your destination. 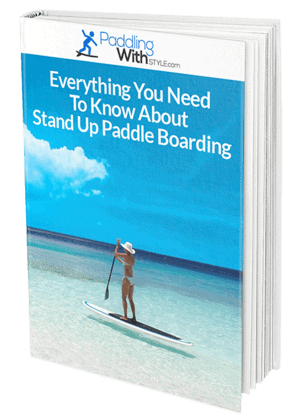 A SUP travel bag offers your board protection from dings and scratches, and it also makes it easier to manage, both for you and for airline employees. Plus, if you?re traveling by car, putting protective paddle board covers on your equipment allows you to transport them on top of or otherwise outside of your vehicle. That leaves more space for important people and belongings inside. It?s difficult to decipher which features are must-haves and which ones you can pass on. Here we?ll help you navigate what you need to look at when choosing a paddleboard bag. For paddle board bags for standard, solid boards, you need to check your board?s measurements against the manufacturer?s guidelines for size. Giving a little extra room might seem like a good idea, but if your board is swimming inside its case, that won?t help protect it as well as a snug fit. For iSUPs, look for a bag that will accommodate the width of your board (which will take up the height of the bag) and still close securely. Consider whether you want to carry additional supplies in the bag, or if you?ll be carting the board only. If your board is substantial on its own, you won?t want a bag that adds unnecessary weight. At the same time, you do want some level of padding and thick material for protection, so balance that with how much you?re willing to carry when the time comes. Many stand up paddle board bags come in practically indestructible materials, but most also have some form of a breathable section to let boards dry out. Mesh panels or slits help let air flow through, keeping mildew away from your board. Plenty of padding might mean unnecessary bulk, so make sure the bag you select doesn?t make it more difficult to handle your board. This is especially true for standard paddle boards since iSUPs are more compact in transport already. Look for multiple handles and adjustable straps to make things easier. Regardless of whether you?re a serious paddle boarder or someone who occasionally likes to get out on the water, using a stand up paddle bag not only helps protect your equipment but also makes it easier to transport everything. Our top pick for the best stand up paddle board bag accommodates solid boards and even a few accessories, while the backpack version provides the same convenience for iSUPs. Plus, now that you know what to look for when shopping for paddle board covers, you can easily find the best bag for your board and get back to enjoying the water.